Adults all over the world spend their early twenties planning again and again for the retirement that they want. They sign up for pension plans and life insurance plans to give themselves a head start on comfort in their winter years. Emergency savings plans are created, with a pot of cash building up to prepare for something that isn’t planned. Each one of these money saving and planning ideas are all wonderful – after all, they’re there to protect you, right? The trouble is, what do you do in the event of something popping up that you weren’t expecting? You could budget each month to feed into your 401k, private insurance and savings pots to keep them building, but if you had a relative fall ill and suddenly have court of protection solicitors fees on your hands, what do you do? How do you plan your own finances around your current savings and outgoings to ensure you can look after a parent who isn’t as mentally capable as they used to be? 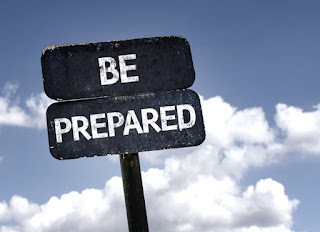 This type of preparation is not something anyone wants to think about. It’s not that you don’t want to take care of a relative, but the financial strain of the unexpected can mean you are left out of pocket and stretched to the max. Those monthly amounts that you’ve funnelled away for your own future can often become used up very quickly and it’s up to you to ensure that you have a plan in place to catch up with what you spend elsewhere. The trick is to plan for expenses that haven’t even happened yet. It may sound like an impossibility, the idea of planning for virtually nothing is hard. You haven’t got a budget in mind or a final figure of what the unexpected could cost you. Adapt. When something unexpected comes up, you can allocate your funds to other areas. Cut down that food budget to something a little more basic to free up your cash. Change your television subscription to give you a little breathing room. The smallest changes can yield the greatest results. Split. When you have an unexpected expense come in, splitting the cost over more than one month can often help you out. Dip. As a last resort, you could dip into that nest egg of savings you’ve been building up. It’s important that you understand this could be a financial hit, but for a short-term solution, an emergency savings pot can be a life-saver. Don’t be tempted to wing it and see what happens. The unexpected happens all the time, and you need to be able to cope with it if it does happen to you. Work with your own conscience and make the best financial choice you have available to you.